We always love it when Virginia shares one of her great techniques with us! She is such a wealth of information and ideas. 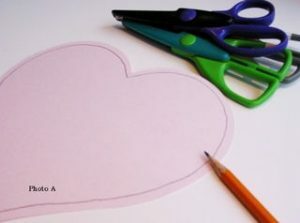 Today, she is here to share a fun tutorial using tried, but true, decorative-edged scissors. 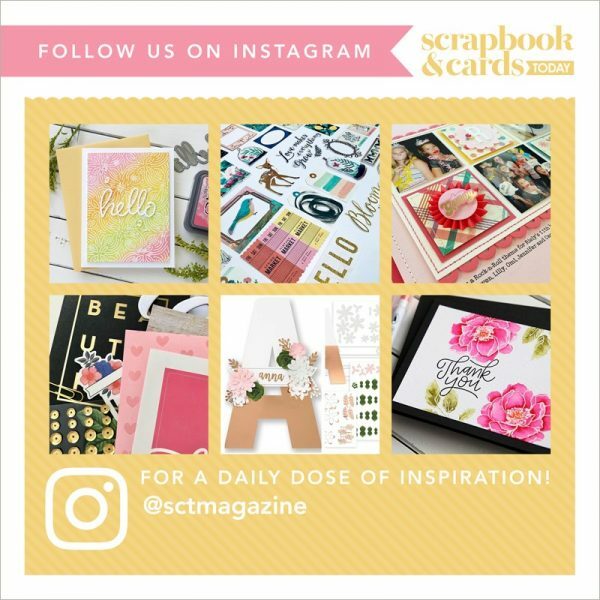 Die-cut papers are still a huge trend, so how about giving your decorative-edged scissors another try? We all have collected a few in the past, so now is the time to dust them off and use them again! 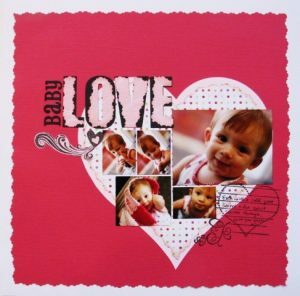 Here is a cute Valentine’s Day layout that I made using decorative-edged Fiskars scissors. 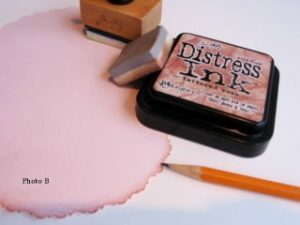 Photo A: When you have a large shape to cut around, it’s best to hand draw a cutting guide 1/4 inch from the edge of your paper. This really helps as sometimes the decorative edges of the scissors can throw you off if you free form cut. Photo B. Inking the edges after you cut is a great way to soften the edges and give it a nice finish. I like to use the Ranger’s Cut’n dry foam pads to get the ink into all the detailed edges. 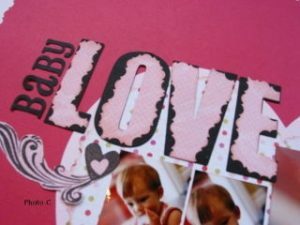 Photo C. For a neat title treatment, cut out your title twice from different colour cardstock. Randomly cut one colour and layer for a fun effect.